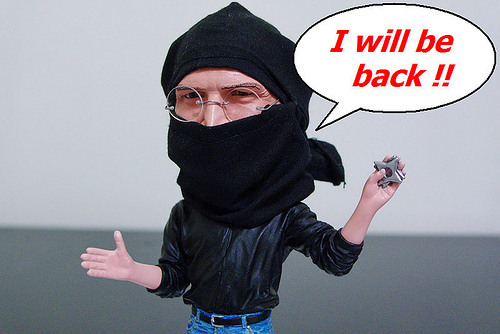 The Steve Jobs Action Figure, Now With More Ninja Action! Steve Jobs isn’t taking a leave of absence for medical. He’s clearly on hiatus to up his ninja xp. This action figure proves it with its interchangeable arms featuring ninja stars, the iPhone death grip, and a white iPhone. Of course the rest of Jobs’ outfit is there too complete with Levi’s jeans, trademark black turtleneck, and New Balance sneakers. Okay, technically, this isn’t called the Steve Jobs Action Figure. In a feeble attempt to avoid Apple’s own ninja lawyers, the clever folks over at M.I.C. Gadget named it The Phenomenal Pineapple CEO Action. The figure’s Apple base even features a removable “bite” just in case the owner wants it to look a little more like the real deal. $90.